A.M.P. Masonry Inc. About Us | A.M.P. Masonry Inc.
A.M.P. Masonry, Inc. is owned and operated by Alden Preis, a third generation mason. He started working with his grandfather, Alvin Brown at the age of 15 during summer breaks. Alden’ s grandfather, Alvin, was also trained to be a mason by his grandfather after whom he was named. Alden’ s natural ability with all types of materials began showing and Alvin began seriously training him. After working with his grandfather for a few years, Alden began work with the Bricklayer’s union when Grandpa decided it was time to retire. It was merely weeks before Alden was advanced to journeyman and with in a year became a foreman with the union. Alden branched out on his own in A.M.P. Masonry, Inc. was incorporated in 2004. The corporation has continued to grow steadily even in these times of downturn in the construction industry. We pride our business on high quality work and have forged working relationships with several contractors. A.M.P. Masonry Inc. has won bids on some large commercial jobs. We work primarily in New York and New Jersey, on both commercial and residential jobs. A.M.P. 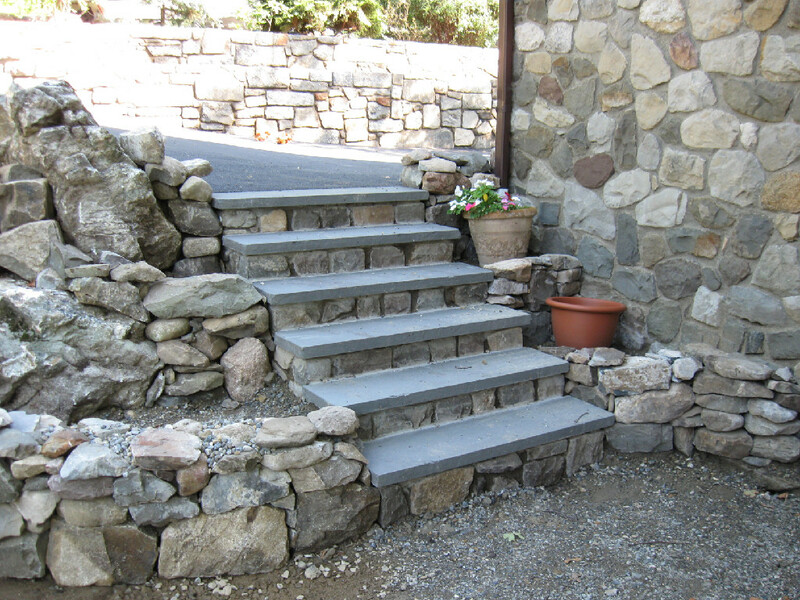 Masonry does most of its own excavation and works with concrete, bricks, blocks, pavers, cultured stone and natural stone. We also do concrete cutting on commercial and residential applications. Our employees continue to attend training seminars to keep up to date with the latest industry innovations. We construct foundations, both block and poured concrete (ICF Foundations), driveways, outdoor kitchens, chimneys and fireplaces, patios, steps, sidewalks, and just about anything else you ask us to do. If you don’t see something listed on our page and would like to know if we can do it, please ask, we would be more than happy to come out for a free estimate.